July is a very busy month for us at Wild Apricot. It's the first month of the second half of the year, which means we just came out from our mid-year review meetings and now are going through all the follow-ups and implementation steps based on our discussions and decisions. 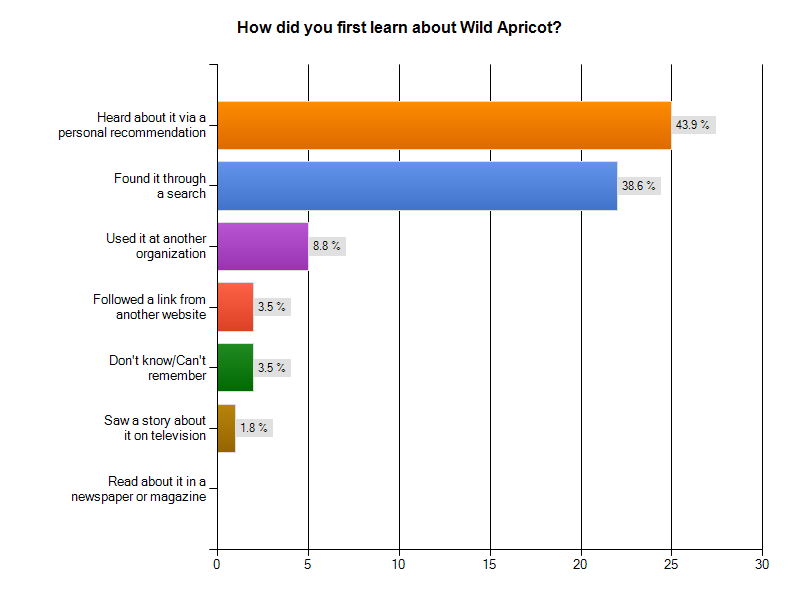 Also, we have just celebrated 7 years since we have released the very first beta version of Wild Apricot, so I thought this would be a good time to review some interesting statistics related to how we've grown, and how organizations like yours are using Wild Apricot. 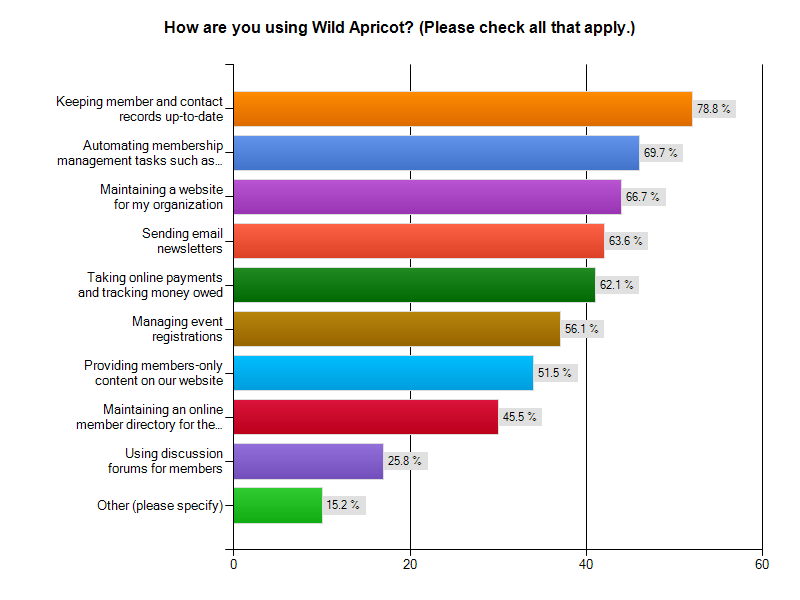 From the same survey, the number one way people use Wild Apricot is "Keeping member and contact records up-to-date"
Wild Apricot merchant and transaction fees: $0! I hope you found this glimpse into Wild Apricot interesting. 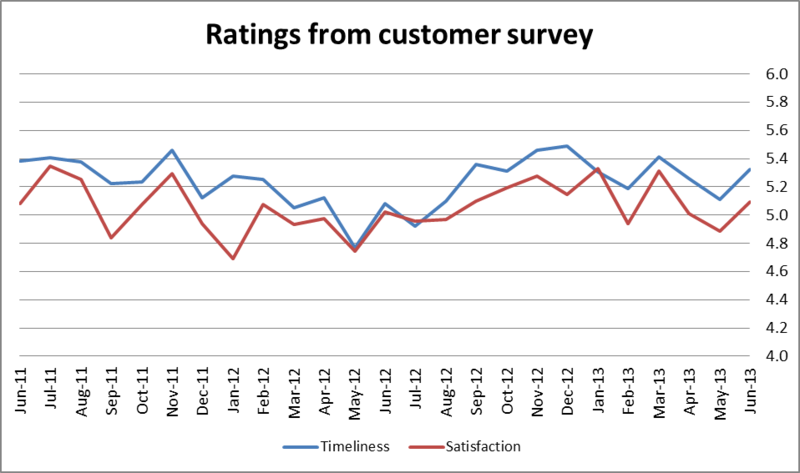 Feel free to comment if there are any other stats you would like to see. Next month in August we will release our first API, a way for other software programs to access the contact records stored in Wild Apricot. Add code to a desktop database like Access or FileMaker that would regularly check your Wild Apricot account for new or updated records and automatically download them. Automatically retrieve and store backup copies of your Wild Apricot contact database on a regular basis. Develop your own website plugin to display a specially formatted list of your contacts – if Wild Apricot's member directory widget is not customizable enough for your needs.